While driving your own car can make certain things about your life very convenient, it can also be a huge drain on your resources. 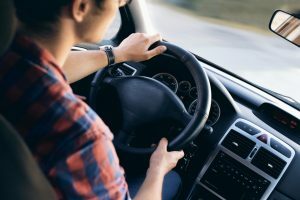 From having to buy your car in the first place to paying for gas and maintenance and all the other incidentals that come along with it, you could be shelling out hundreds of dollars on your driving habits each month. So to help you minimize this expense as much as possible, here are three ways you can cut down the costs you’re spending on driving. Before you can start saving money on your car, you’ve first got to ensure that you bought the right car to begin with. According to AARP, if you’re wanting to cut down your costs and save yourself some money, you should be buying a car based on its performance rather than the prestige of its name or brand. This could mean that rather than picking a higher-end car that looks great but doesn’t get the gas mileage you want or is more expensive to insure, you pick a car that’s going to be reliable and economical. Not only will the incidentals be saving you money by spending less on gas and specialty parts, the bottom line price of buying these types of cars are much more manageable as well. Another cost that you’ll have in association with your vehicle is car insurance. Having adequate insurance for your car is a legal necessity, so this is an expense that you can’t just choose not to have. Luckily, there are things you can do to save yourself some money here though. According to William Cummings, a contributor to USA Today, you can save on your car insurance by checking for any discounts that you qualify for and choosing to set a higher deductible for yourself. If you don’t know what your options are for saving money now, consider calling your insurance carrier to see where you could make adjustments or look at more reasonable quotes from other insurance providers. Even if you have your car situation set up perfectly to save you money, if you break the law of the road, you’re going to end up paying for it, literally and figuratively. So to avoid these costs, do everything in your power to obey the laws for where you live. According to Patrick Collinson and Hilary Osborne, contributors to The Guardian, this might be driving slower than you’re used to. Additionally, if you’ve been known to drive under the influence, this is a habit that you should stop immediately. If you’re looking for ways to save some money on your car costs, consider using the tips mentioned above to help you do just that.